Oh, and also because now I kiss boys. This guy still masturbates to the seventh grade version of Brenda. 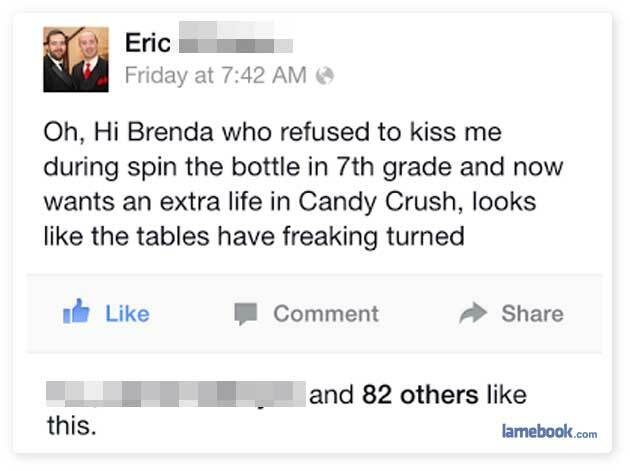 Candy Crush fucks people up. I’m gonna marry Sadie’s co-worker’s sister-in-law and have her as my sugar mama! Wow,, talk about not letting go!